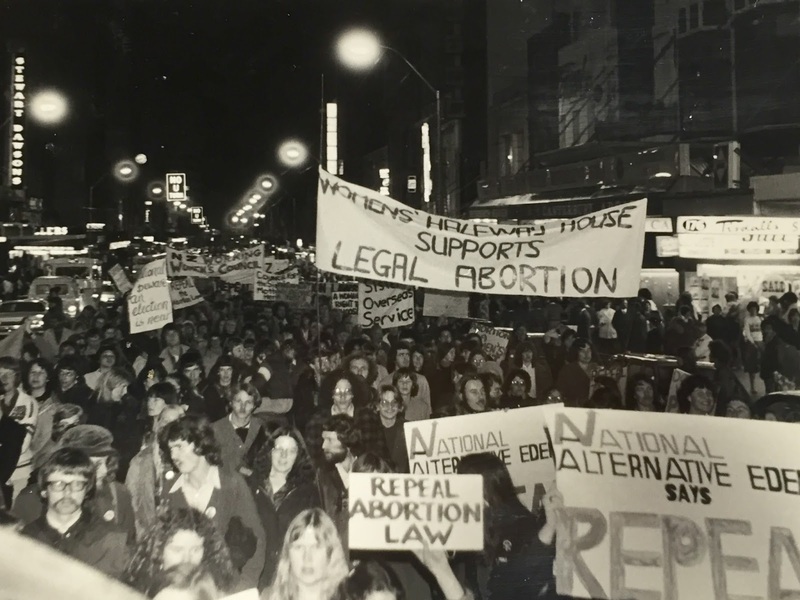 Abortion was illegal in NZ until the 1970s unless required to save the mother’s life. Nevertheless, the procedure was widely practiced and often unsafe. In 1927 a Department of Health official estimated 10,000 abortions took place annually - with NZ having one of the world’s highest death rates from botched abortions. This prompted the government to set up a Committee of Inquiry in 1936. Instead of focusing on the high rate of maternal deaths, the Committee focused on the falling birth rate and recommended an increase in family allowances. 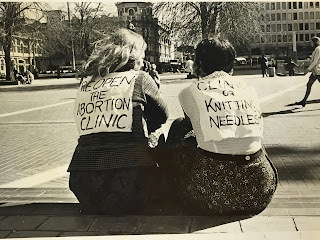 A 1939 British ruling influenced the interpretation of abortion law in NZ to include mental health as grounds for the procedure, but many doctors refused to perform abortions. Ref: Alan Brown, Abortion march, 28 July 1972, Broadsheet Collective Records, Sir George Grey Special Collections, Auckland Libraries, NZMS 596. Some illegal abortion providers were medically skilled such as maternity nurses and chemists, but many were not - and took money from women who, due to the illegality, would not go to the police if things went wrong. In the 1940s it could cost 100 pounds to purchase an abortion from a doctor (around $8,000 today) and in the 1930s Napier abortionist Annie Aves charged 12 pounds (around $1,300). Ref: Abortion demonstration, Gisborne, 1977, Broadsheet Collective Records, Sir George Grey Special Collections, Auckland Libraries, NZMS 596. The contraceptive pill was introduced in the 1960s and was accompanied by changing attitudes to the role of women in society. 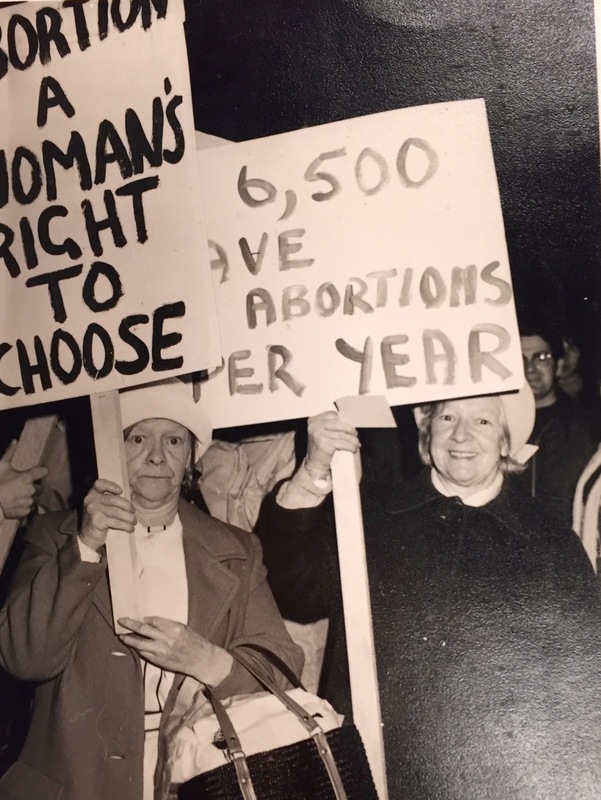 In 1967 Britain broadened the grounds for abortion to include socio-economic factors. The number of terminations rose dramatically, partly because non-British women began travelling there for the service, too – including around 35,500 French women in 1973. The numbers soon fell when other countries also liberalised their laws or practices such as USA in 1973 and France in 1975. 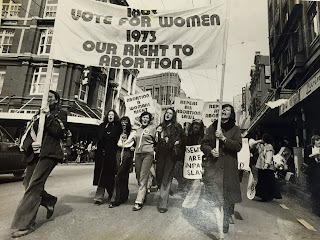 By 1971 abortion services had been liberalised throughout Australia, and NZ women were crossing the Tasman to obtain services unavailable in their own country. The Society for the Protection of the Unborn Child (SPUC) formed in 1970 to prevent NZ’s laws coming into alignment with other Western countries. SPUC’s core support came from the Catholic Church and its members included high-ranking MPs such as Norman Kirk (Prime Minister 1972-1974). Another high profile anti-abortion group was Feminists for Life, who thought pregnant women should be better supported with maternity leave and childcare. Ref: New Zealand Ephemera - Feminists for life flier, Sir George Grey Special Collections, Auckland Libraries. 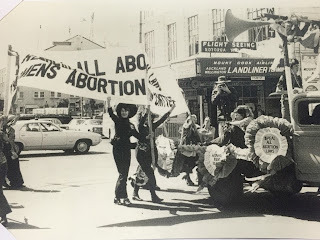 In 1971 The Abortion Law Reform Association of New Zealand (ALRANZ) formed with the view that abortion was a decision for a woman and her doctor. 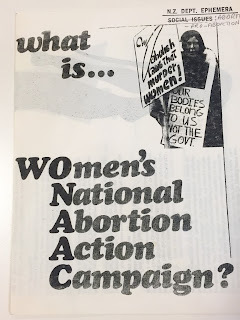 In 1973 WONAAC (Women’s National Abortion Action Campaign) split from ALRANZ because they thought abortion was a woman’s right and her decision alone. Ref: New Zealand Ephemera - WONAAC flier, Sir George Grey Special Collections, Auckland Libraries. A National Research Bureau Survey in 1972 found an average 6,500 illegal abortions took place every year, out of a total of 11,000 attempts. By 1976, the NZ Women’s Weekly reported 4,000 women a year were travelling to Australia for a safe, free termination. Access to abortion eased in May 1974 when the country’s first private abortion clinic opened – The Auckland Medical Aid Centre (AMAC). Three months later, MP and SPUC member Dr Gerald Wall presented a Bill to Parliament requiring all abortions be provided in licensed hospitals rather than private clinics. Opposition to the Wall Bill came from many organisations including ALRANZ, WONAAC, The Medical Association, the General Practitioners Society, the Council of the New Zealand Obstetrical and Gynaecological Society – and the NZ Herald’s editorial page. Ref: Cathedral Square, Christchurch, 17 September 1974, Broadsheet Collective Records, Sir George Grey Special Collections, Auckland Libraries, NZMS 596. In September that year, police illegally raided AMAC and took 546 confidential patients’ files. 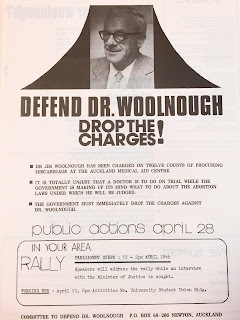 One of the clinic’s doctors, Jim Woolnough, was prosecuted for providing illegal abortions. He was found not guilty due to his sincere belief that the abortions he performed were necessary. The Crown appealed, but the Court of Appeal upheld Woolnough’s acquittal. Ref: New Zealand Ephemera - Woolnough case flier, Sir George Grey Special Collections, Auckland Libraries. The Wall Bill came into effect in September 1975 - but AMAC didn’t close, it became a private hospital, moving into the old Aotea Private Hospital in Epsom. A year later, an arson attack gutted part of the Clinic causing $100,000 worth of damage. The abortion debate became so heated Parliament set up a Royal Commission of Inquiry into Contraception, Sterilisation and Abortion in 1975. SPUC gathered 113,381 signatures on an anti-abortion petition which was presented to the government soon after. 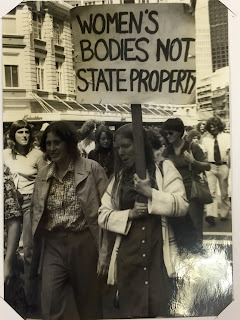 Ref: Abortion march, Wellington, 19 September 1973, Broadsheet Collective Records, Sir George Grey Special Collections, Auckland Libraries, NZMS 596. The Bill attracted amendments that made it one of the most restrictive pieces of abortion legislation in the Western world. It confirmed abortion as a crime and sanctioned it only if two approved certifying consultants agreed an abortion was necessary for the mother’s mental or physical health. 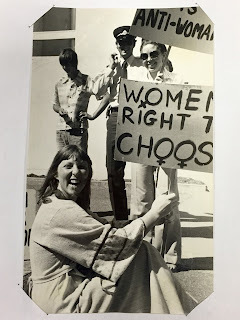 Ref: Peter Butler, International Women's Day demonstration, Wellington, 8 March 1978, Broadsheet Collective Records, Sir George Grey Special Collections, Auckland Libraries, NZMS 596. After the Bill passed AMAC closed due to an ambiguous amendment stating that abortion was only legal if the danger to a woman’s health “could not be averted by any other means”. Within days, The Sisters Overseas Service (SOS) was set up to help women travel to Australia for terminations. In 14 months SOS helped send more than 2,000 women across the Tasman. Craccum estimated that this generated over a million dollars (around $5.2 million in today’s terms) in travel expenses based on $500 per woman, and that the NZ Government would have taken $64,000 in travel tax (over $300,000 today). 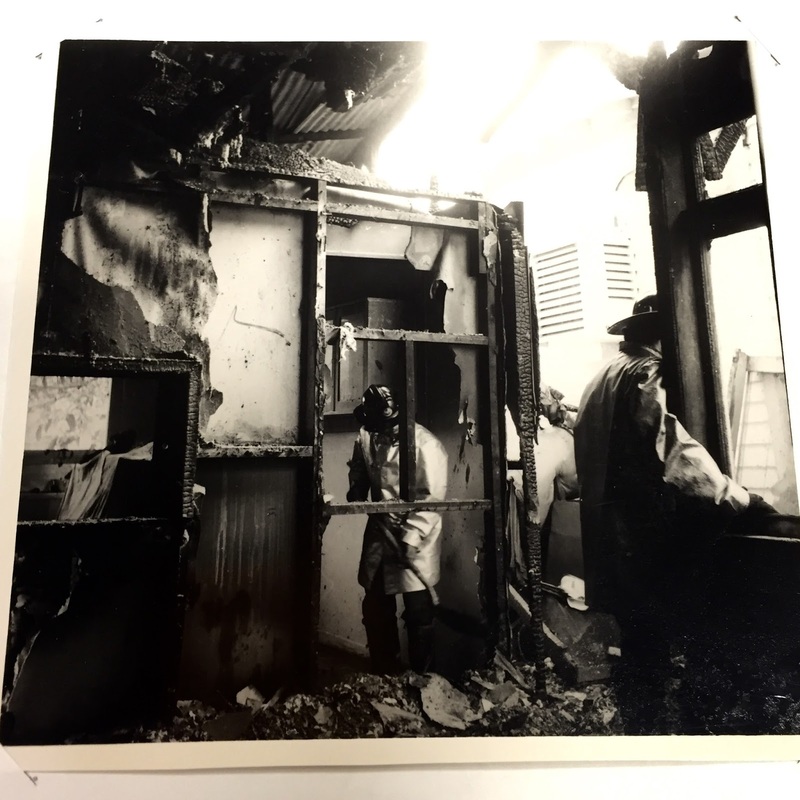 An arson attack burnt down the SOS headquarters in Auckland on Easter Monday 1978. 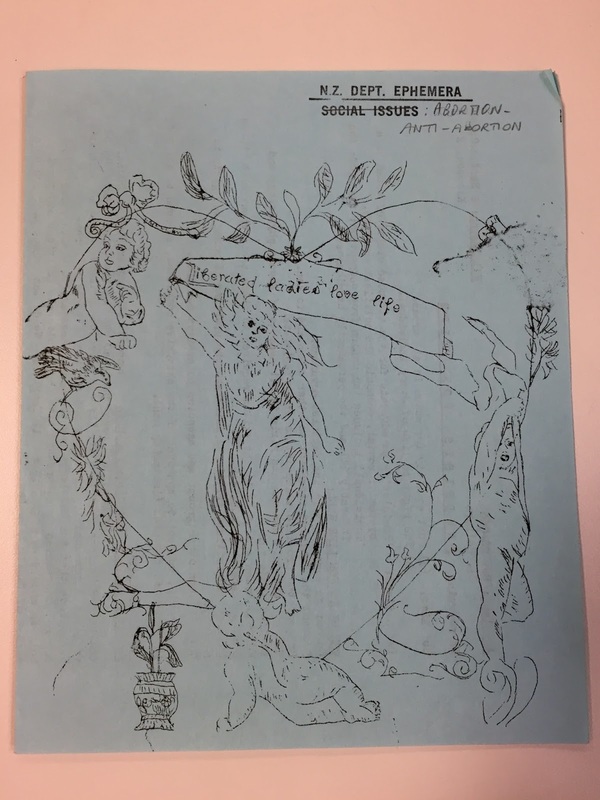 Ref: Sandra Coney, SOS Save Our Sisters arson, Broadsheet 59, p.7, May 1978, Broadsheet Collective Records, Sir George Grey Special Collections, Auckland Libraries, NZMS 596. In February 1978 REPEAL formed to collect signatures for a petition aimed at repealing the C, S, and A Act. Over 318,000 people signed in three months – making this NZ’s third biggest petition ever. However, the petition was given such a low priority by the Petitions Committee that it was not formally presented to Parliament. Ref: Ross Hampton, Auckland repeal abortion law march, 15 September 1978, Broadsheet Collective Records, Sir George Grey Special Collections, Auckland Libraries, NZMS 596. Ref: Repeal abortion law march, Broadsheet Collective Records, Sir George Grey Special Collections, Auckland Libraries, NZMS 596. The Act was administered by the Abortion Supervisory Committee (ASC) who requested changes be made to the law to make it workable. 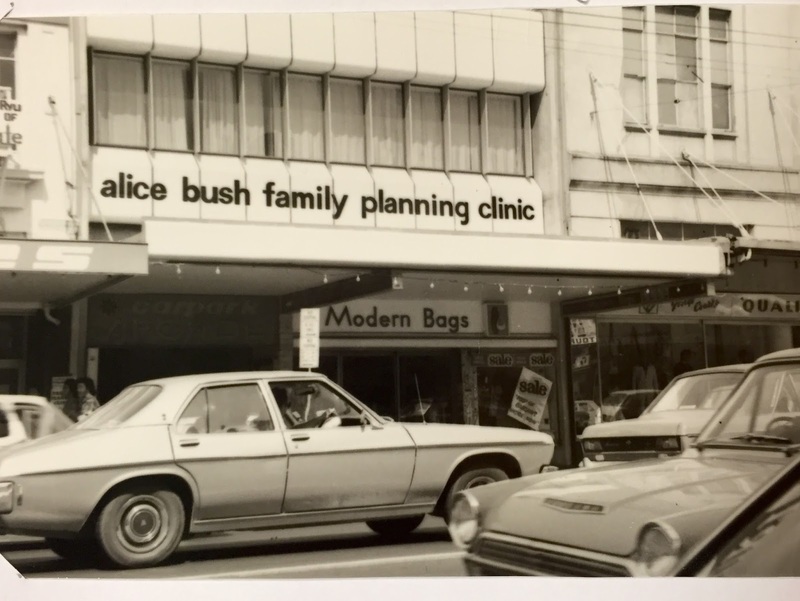 In 1979 AMAC was licenced to reopen, and public abortion services were also provided in Auckland and Wellington. By 1981 the ASC said most abortions for NZ women took place in this country, rather than Australia. 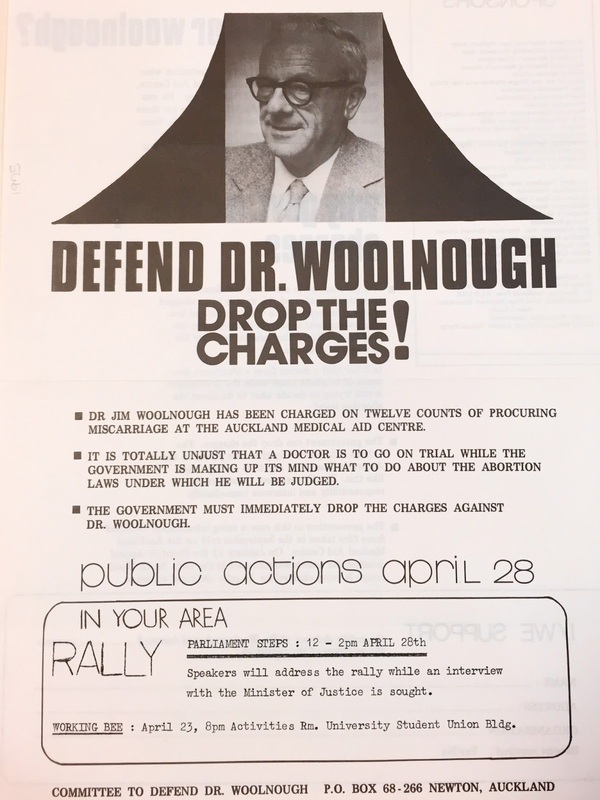 In 1982 Dr Melvyn Wall went to court to prevent a 15 year old girl from having an abortion, but the Court of Appeal found he could not represent the foetus. An anti-abortion group challenged the ASC’s management of abortion law in 2011, and the Court of Appeal ruled that there was no foetal right to life. 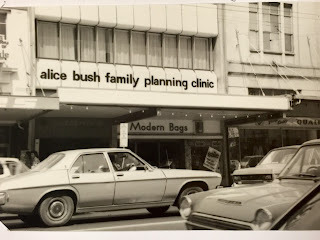 Ref: Sandra Coney, Alice Bush Family Planning Clinic, Karangahape Rd, Broadsheet Collective Records, Sir George Grey Special Collections, Auckland Libraries, NZMS 596. Medical techniques have advanced since the 1970s enabling earlier, safer first trimester abortions, but the requirements of the Act mean women may not be able to take advantage of these improvements. By the time a woman has realised she’s pregnant, gone for counselling, and seen two doctors, she can be in the second trimester. On the 30th anniversary of the Act, MP Steve Chadwick (NZ Herald, 7 July 2007) said the number of steps a woman had to go through was a major flaw and the law needed review. MP Paul Hutchison agreed, saying it was time the country got its reproductive strategy right. Wow - I had no idea our laws were so archaic. This is 2015! What is archaic about protecting unborn babies? Interesting material presented but what about the other side of the picture. Because there was one and it wasn't simply a group of old men and women moaning away. It was standing up for a set of values in the face of something thought of at the time as 'progressive and modern'. I agree. New Zealand history is far more nuanced than has been presented, as is any history a complex set of events and attitudes. There are many, many factors to this story that have been omitted. This is a 'perspective', not a history.